Shazam! (2019), PG-13, 2 h 12min - Shazam! has been out for a couple of weeks now (not including the early preview weekend), and after being delayed by much needed yard work, I was finally able to check it out last weekend. 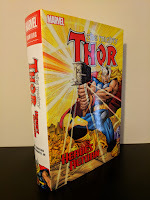 I haven't had much time to work on my review, but I did want to get something written up on it so I apologize in advance for this being short and sweet. I have very little prior experience and knowledge of the character. As a matter of fact, the only Shazam! 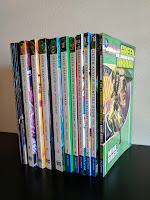 material I had read before seeing the movie was the story arc that Geoff Johns and Gary Frank did as backup features in Justice League during DC's New 52 era, and the first couple of issues of Johns' current run on the title with Dale Eaglesham. Which actually turned out to be fortunate, as this film takes a lot of inspiration from Johns' take on Billy Batson and family. Aquaman and The Others: Vol. 1 - Legacy of Gold - Collecting Aquaman (2011) #20 and Annual 1, and Aquaman and the Others (2014) #1-5. Aquaman and The Others: Vol. 2 - Alignment Earth - Collecting Aquaman and the Others (2014) #6-11, Aquaman: Futures End (2014) #1, Aquaman and the Others: Futures End (2014) #1. Aquaman by Peter David Book One - Collecting Aquaman: Time and Tide (1993) #1-4, and Aquaman (1994) #0-8. 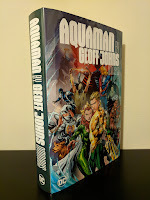 I've clearly been on an Aquaman kick lately, having really enjoyed both the Aquaman by Geoff Johns Omnibus and the Jason Momoa/Amber Heard-led live-action film. I figured, what better time than now to check out another of DC's classic runs: Peter David's Aquaman. Fortunately, this run is currently being collected by DC in thick trade paperbacks. Unfortunately for newcomers to this material such as myself, only the two books have been released thus far (with a third solicited for the fall of 2019). Judging by the length of David's run, a fourth volume should complete this series collecting his work on the title. 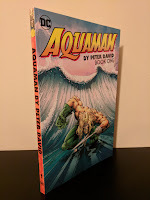 I may have gotten sucked into this era of Aquaman, but it doesn't look like I'll be able to finish David's Aquaman for another year or two. 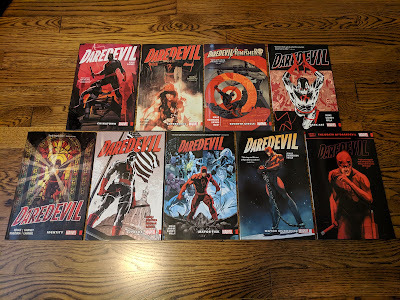 In hindsight, I may not have picked the best time to dive into this run after all! 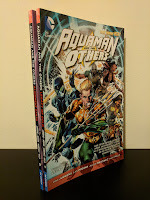 Aquaman by Geoff Johns Omnibus - Collecting Aquaman (2011) #0-19, 21-25 (including 23.1 and 23.2), and Justice League (2011) #15-17. 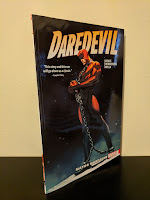 Daredevil may be my favorite comic book character, but you'd be hard pressed to find a hardcover collection that I have looked forward to more than this volume, the Aquaman by Geoff Johns Omnibus. It is a book that, over the last four years, has had three solicitations and two cancellations. Fortunately, the third time was the charm as DC finally saw fit to make this collection a reality in conjunction with the live-action Aquaman film hitting theaters this week.